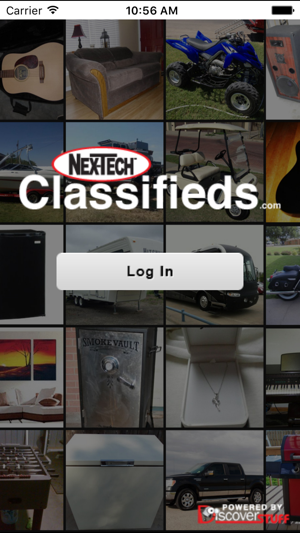 Discover a new way to use the Nex-Tech Classifieds with the official iOS app. Get the most recent listings on your phone and take them with you. Lots of pop ups, loading errors, and can’t zoom in on the pictures. 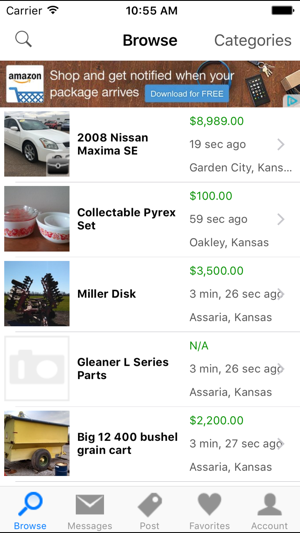 Sometimes the whole app shuts down after browsing for a while and I have to go all the way through the app and the previous listings to find the listings I was looking at. Sometimes when I try to send a message it won’t let me and just shuts down. Also apparently doesn’t work on iPad. This app would be great if we could receive push notifications if we received a message or if items we had favorited were either sold or relisted. Also if an item we were looking for were listed. 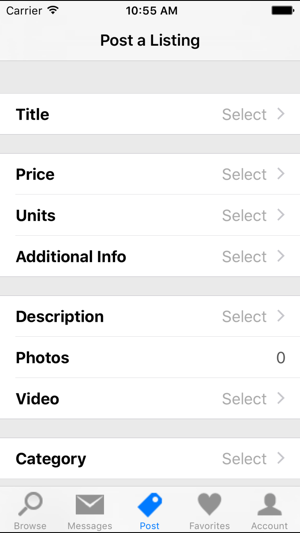 Let sellers reorder picture and pick the first/thumbnail picture. Good app but the "Favorites " tab still crashes the app 100% of the time. I like this app very much but the "Favorites" tab is unusable. I have the latest build and it crashes the app 100% of the time on my iPhone 6s. Would be a five star app if this feature worked and I didn't have to manually write down my favorite listings to follow. Fix it and I'll update this review!